As of November 2018, there are 16 homes for sale in the Medalist in Hobe Sound FL. This includes a selection of both new and pre-owned homes. List prices range from $850,000 up to $2,850,000 for an average list price of $1,385,869 which works out to $368.23 per sq. ft. of living area. There is one home currently under contract. The list price was $950,000 or $254.56 per sq. ft. of living area. This home was on the market for 209 days before going under contract. In the past 12 months, 6 homes have sold in the Medalist. Sales prices ranged from $665,000 up to $1,720,000. This works out to an average sales price of $1,049,833 or $264.42 per sq. ft. of living area. These homes sold for an average of 92% of the final list price and went under contract in an average of 325 days. It just doesn’t get any better than The Medalist if you want to play golf. 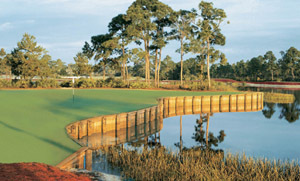 Surrounded by over 870 acres of pristine Florida natural preserve and the home of Greg Norman’s signature golf course. The Medalist is located in Hobe Sound between Jupiter and Stuart Florida. Easy access to Jupiter Island and the beaches and also a quick ride to I-95 and points South or North. New homes are available from quality builder Zuckerman Homes as well as a number of fine pre-owned homes in the estates or the Medalist Village. All homes at The Medalist Country Club Estates & Spa in Hobe Sound include access to the incomparable Medalist Village consisting of a world-class spa facility, a unique Par 3 golf course designed by Greg Norman, classic Har-Tru tennis courts, and a distinctive Aussie Pub that serves as the social center of the Medalist Village. HOA fees in the Medalist vary greatly by location and currently range from $208 up to $558 per month. The higher HOA homes typically include membership in the adjoining Greg Norman-designed par-3 golf course, 2 Har-Tru tennis courts, spa and fitness facilities, & Aussie Pub that serves as the social center of the community. Children who live in the Medalist are zoned to attend Hobe Sound Elementary School, Murray Middle School and South Fork High School. Please contact us for a list of amenities as well as currently available homes at the Medalist that are not available on our search page.